ZERO BRINE advances circular economy business model solutions to eliminate industrial saline wastewater streams by recovering and reusing the minerals and water from the brine used in other industries. Thus; ‘closing the loop’ and improving the environmental impacts of production. ZERO BRINE is a four-year Innovation Action (IA) project coordinated by the TU Delft. The consortium contains 22 partners including research institutes, SMEs, construction companies and end-users from 10 different countries. ZERO BRINE aims to achieve the recovery of valuable substances such as calcium, sodium, magnesium salts and high quality water. To achieve this, they use various innovative technologies to treat concentrated saline effluents generated by process industries. The climate conditions and the water stress have led to the use of alternative water resources, such as water reclamation and desalination. This ensures sufficient water supply. Islands, for example, lack freshwater availability and access to renewable energy sources. 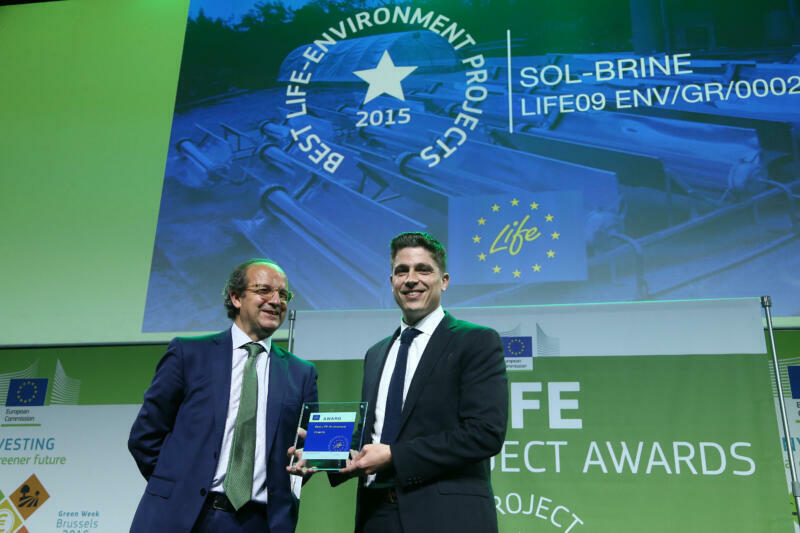 In 2015, the predecessor of ZERO BRINE – SOL BRINE – and the National Technical University of Athens were selected out of 4306 EU LIFE projects as the best project implemented over the past 25 years, in the category Environment. 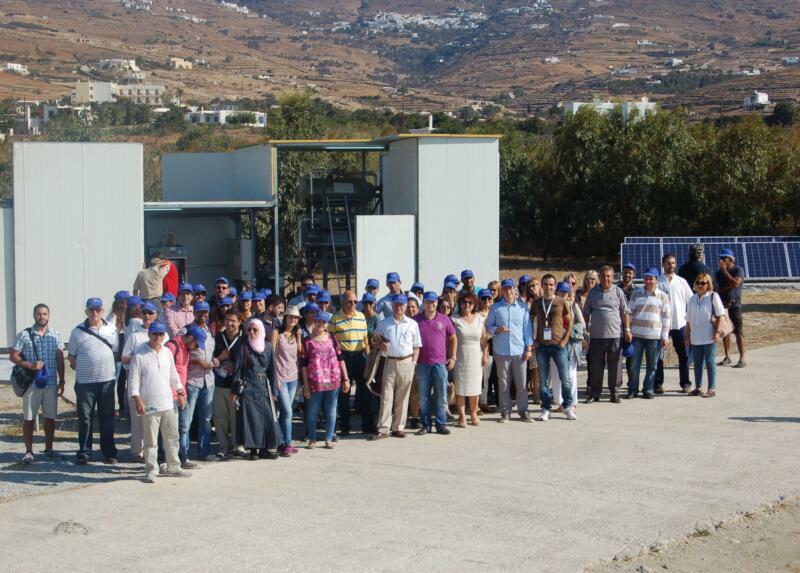 The group was awarded the Green Award by the EU commissioner, Mr. Karmenu Vella. 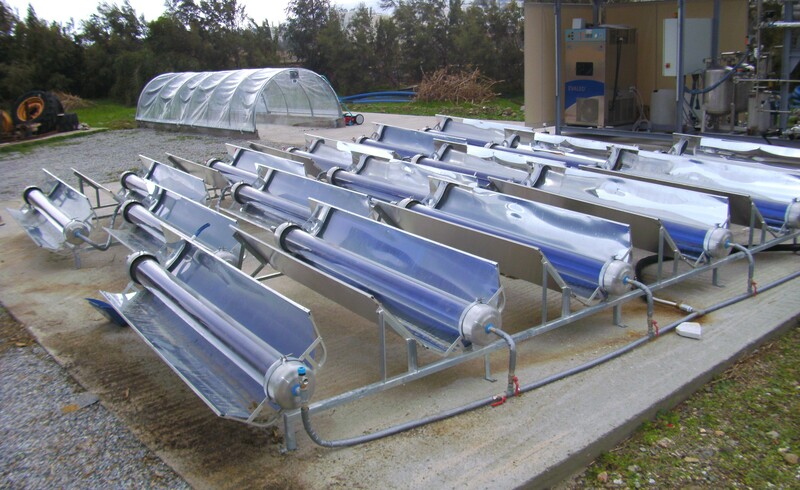 The SOL-BRINE project is a closed loop solar-powered brine that was installed at a desalination plant in the Cyclades islands. It separates the desalination brine into two useful byproducts; dry salt and water. The water is reused in the process, while the salt is sold for industrial purposes. The project aims to eliminate the current practice of brine disposal. The results of the SOL-BRINE scheme caused a transition into the commercial sector. It is now managed by the Dutch company called SEALEAU B.V. who is the originator of the ZERO BRINE project. In Rotterdam’s Botlek industrial area, ZERO BRINE treats two salt waste water effluents at Evides’ Demi Water Plant in a demonstration installation using residual heat from other industries. This, together with three other pilot projects in Spain, Poland and Turkey, ZERO BRINE provides massive potential to replicate and deploy circular economy solutions in the field of industrial wastewater treatment.